Some atheists move beyond their objections to religion to a form of frothy mouthed rage that anyone dare believe in something beyond what can be measured, analyzed, and peer reviewed. Famously, Richard Dawkins has asserted that parents teaching their children Christian doctrine is a form of child abuse. And, of course, there are meanspirited gadflies like those in the Freedom From Religion organization who like to attack people engaged in public service for having faith that is not hidden from view. Such antipathy is not universal. Some atheists are more benign. However, there is enough anti-religious emotion among the supposed rationalists that the militant fundamentalist accusations about an “atheist agenda,” etc., etc., are not entirely unfounded (just overblown). Asma finds multiple benefits of religion, which he argues are reasons that society should not seek to destroy religion and ridicule believers. In chapter length treatments, Asma argues that religion in general, especially those with a belief in an afterlife, help people navigate sorrow due to death and even personal fear of death. Such myths keep some people from despair, so there is no reason not to allow that beneficial belief. For some, religion enables the ability to forgive. The belief that there will be justice meted out gives people resources not to seek immediate, personal vengeance. Similarly, a belief in a higher power can help people have mental strength leading to internal peace, resilience, and the ability to sacrifice for others. Religion also enables people to find communal joy, to channel sexual energy, and engage in forms of imaginative play. These aspects of religion, according to Asma, have evolved in ways that differentiate us from some of the lower animals and help us get by as a society. At other points, religion proves useful in helping people control their fear and anger. Given his assumptions, the argument is reasonable throughout, but the general point is that religion—at least some level of religion—is acceptable because it has socially and evolutionarily beneficial fruit. Thus, even if it is not actively encouraged, certain types of religion should be deemed acceptable, as long as it sufficiently agrees with the moral consensus of society and encourages behaviors approved by enough people. For example, religion that fosters contemporary forms of functional egalitarianism, pursuit of approved economic and social outcomes, and controls unsocial emotional outbursts should be accepted. At a most basic level, it is nice to have an atheist write something that does not curse every believer for their foolishness and vehemently denigrate their existence for not aligning their faith commitments to those of radical empiricism. Asma’s book shows that the conversation between religion and radical empiricism need not be an out and out street fight at all times, especially if one accepts a version of religion that is palatable for skeptics. Ironically, though he is an atheist, Asma makes many of the same arguments for religion in general that some versions of Christianity (the religion with which I am most familiar) make. Religion can help you live your best life now. Believing can make you a better citizen. Your kids won’t misbehave as much if you keep them in church. You can have inner peace if you will just believe. There’s no need to fear death if you’ll just pray this prayer. The list can go on and on. This observation shows the paucity of much teaching among Christians of varying stripes. I have heard similar pitches presented as “evangelism” before, and sometimes they succeed in getting people to participate in activities with Christians for a while. There is a pointed lesson here, for those whose faith would be acceptable to an atheist. The acceptable religion Asma hopes for is the one that nods toward doing good deeds from time to time, talks about miracles as fiction that points to a higher moral, and moves aside traditional doctrines that interfere with the current popular polls. In Christian circles, Asma’s preferred forms of religion align very well with the stated doctrines of many mainline Protestant denominations and lived faith of many Evangelical and Roman Catholic adherents. Lukewarm is the hottest the faucet should go, lest it lead to a failure to go with the flow. Coexist bumper stickers are the main sign of approved faith, rather than rosaries, crucifixes, or fish stickers. Bland is the religion that is properly admissible by the Zeitgeist. Asma’s arguments also reveal there is no point at which the attempt of liberal Christianity to create a truly minimalist faith will ever really be acceptable in society. As the moral winds shift and the polling changes, there will always be a new doctrine considered anti-social and require abandonment. Whatever vestiges of truth and odor of gospel efficacy is left in an acceptable version of Christianity won’t have much power to save, if any at all in a few years. In other words, Asma reveals that seeking praise from atheists isn’t a worthy endeavor because nothing but utter capitulation will ever be applauded, so those who claim to be orthodox and faithful should focus on doing justice, loving mercy, and walking humbly with our God as we believe and proclaim a rigorous, full-throated, gospel-saturated doctrine. For faithful, orthodox Christian readers, the best use of this book is to see in it an affirmation of some of the things that we know to be true, though Asma denies the basis. Faith in Christ and the power of the Holy Spirit can help make us better citizens, to the degree that society maintains a true sense of the common good. Basically, Asma is arguing that we aren’t (always) the moral equivalent of child abusers and sometimes actually do good things, which is better than the alternative. In the end, this is a book that was not written to people who really believe what they claim to believe, whether they are Christian, Mormon, Buddhist, or whatever. This is a book that, despite claiming to offer an olive branch, oozes condescension on nearly every page. It’s a patronizing pat on the head from the person who pretended to listen while you speak to them and then lets you know he was ignoring everything you said by his smug smile and dismissive comment. Most probably, though, the target audience for this book is not people who actually believe and practice their faith, it is the mushy middle and the militant atheist. One possible positive outcome is that some from the mushy middle may encounter the gospel if they wander into a faithful Christian church on some Sunday morning to find the inner peace Asma highlights; may Asma’s work bear such fruit. On the other hand, this is a book that may be helpful if it has the socially beneficial result of tempering the fundamentalist zealotry of a few atheists. On that basis, I think that it makes a valuable contribution to the conversation of the relationship between religion and society. Tim Keller has done it again. Not too long ago his book, The Reason for God, hit the presses and it was quickly described as being in the same league as Lewis’ Mere Christianity. That praise was justified, as Keller had studied the zeitgeist well and understood the questions people were asking. There was a large swath of young people who needed to read exactly what Keller wrote at that time. However, time, tide, and formation wait for no one. As the polls are revealing, a larger number of people are identifying as “nones.” These are people who have no religious affiliation. As one “none” explains in her book, it often isn’t that the nones are opposed to religion, they just don’t see the point. On the other hand, judging by the commenters on the internet, there are a large number of people who find religion repugnant. According to this view, religious people are ignorant, naïve, or perhaps even simply evil. They argue that religion is inherently irrational because it relies on faith; in contrast, non-religion (or whatever they try to label their faith commitment) is based on objective science. Therefore, rejecting religion is the only logical solution. Keller’s recent book, Making Sense of God, will speak to either of these groups. Much like any book, the antagonistic skeptic will be unlikely to dig into this volume and glean anything from it. However, Keller is irenic, so anyone who is actually looking for a credible case for Christ can find a good representation of it in Keller’s book. The book begins with a preface, which introduces a reality many are unaware of: secularism is based on faith. Although the question of religion vs. non-religion is often pitched as faith vs. reason, Keller announced that isn’t the case. The reader must be patient as he carefully unfolds his argument over the following chapters. Keller explains that, contrary to the popular myth of secularists, religion isn’t dying. It may be on the decline in the Unites States, but in the world at large, the number of faithful are growing. Thus, it isn’t that the secularists are paving the way into the future by resisting religion, rather, they are simply resisting the inevitable growth of faithfulness. The next chapter explains that secularism relies on just as much faith as any religion does. No one is purely rational, and most professional philosophers recognize that. Everyone has certain basic assumptions that must be taken on faith. You can’t, for example, empirically prove that the scientific method is the best--never mind the only­­--way to understand more about the world. This doesn’t mean that religion is necessarily correct, but it means that religion should not be immediately dismissed as something intrinsically different that secularism. Having established the possibility of rationally considering religion as another competing worldview to secularism, Keller shifts into a shift into a defense of religion itself. Throughout the beginning of the book, he argues for the possibility of religion generically, but the informed reader will see that Keller is moving toward Christianity as the best and only viable option for all problems. Keller argues that religion provides meaning that suffering can’t take away, satisfaction that is not based on circumstances. He shows that “do no harm” is an insufficient ethical principle, because it fails to represent the true complexity of our interconnections. The modern concept of the autonomous self is an unworkable, unjust myth. Something must be added to secularism to answer these problems, and that something is the Christian faith. Similarly, Keller shows that the modern idea of the self is incoherent and insufficient. Humans cannot find their identity from within, because that is self-defeating. In contrast, belief in the Christian faith offers an eternal, unchanging identity that does not crush the individual nor exclude all others. This leads to a hope that cannot be eliminated based on circumstances. There is an eschatological future of joy for the human that has faith in the one true God. Traditionally atheists have resisted the concept that they can’t be moral. It is true that atheists are often nicer than Christians, but more and more secular thinkers are recognizing that despite their many flaws, Christians tend to be much more active in doing the good things that need to be done. This is because they have a morality rooted in God. This is something that religion adds to the secular conversation. At the same time, Keller critiques many churches that have morals for being legalistic. He offers his critique, but at the same time encourages the skeptic to recognize that this is a failing of particular congregations, not of Christianity. True Christianity has morality that enlivens and does not crush the soul. The cross shows how that can happen. The last few chapters are a more traditional apologetic for faith in Christ. Keller presents the gospel winsomely and in a way that someone who has journeyed so far into the volume will recognize the sincerity of the invitation. It’s a sign of the times that Keller would have to lay the groundwork so carefully for faith in Christ. This is the shape of evangelism in the future. We need to begin farther and farther back in our conversations with many people. It becomes less safe to assume that someone knows the story already and we are just calling to repentance. More and more, when people are told they need to repent, they are likely to ask from what. Our age is secular, religion has been maligned by its enemies and misrepresented by many of its adherents. 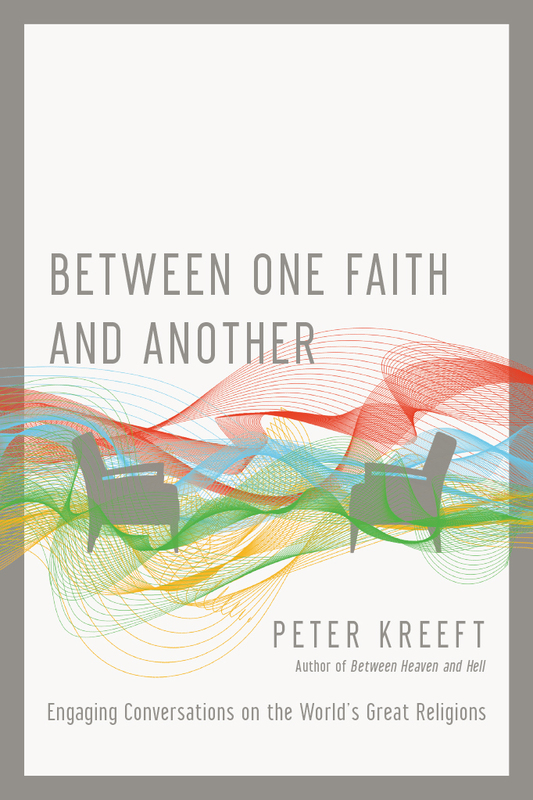 Keller provides the necessary dialog to bridge the gap between a skeptical world and Christianity. I commend this volume to the skeptic as a good argument for faith, especially faith in Christ. For the Christian, this book should be read, digested, and studied in preparation for answering the questions of unbelieving friends. This is more likely to answer the necessary questions than the memorized outline of Evangelism Explosion. For the parent, this is the sort of volume you should read with your children, so that even after they’ve prayed the prayer and walked the aisle they understand the reasonable basis for their faith. Making Sense of God is a masterpiece. Having read it, I will read it again. It is well-written, well-researched, and on point. Keller has done a service to the Church in writing this volume. My hope is that many will read it, both those inside and outside of Christianity. One of the several ways to engage people with the good news of Jesus Christ is through evidential apologetics. In many cases now, the morality of the Bible is so offensive to people they have little initial concern over the historicity of Scripture. However, both within and without the church there are cases where cogent, rational demonstrations of the credibility of Christianity are necessary. History, Law and Christianity, by John Warwick Montgomery has recently been republished by the 1517 Legacy project, which aims at presenting a Christian apologetic to the world. Montgomery’s book was originally published in 1964, having begun its existence as a series of lectures in response to attacks on the Christian faith. The first five chapters discuss the plausibility of historical evidences of the truthfulness of Christianity. The final chapter provides a “legal defense” of Christianity, as it might occur in a court of law. This edition also includes the original lecture to which Montgomery was responding, as well as an affirmation of the quality of the argument by a non-Christian historian. Much like Lee Strobel’s book, The Case for Christ, and Josh McDowell’s classic, Evidence that Demands a Verdict, Montgomery’s volume points out some of the common challenges to the truthfulness of the biblical accounts regarding Christ. Montgomery shows that, while we cannot have Cartesian certainty of Christ’s resurrection and his deity based on evidence alone, there is such a strong logical coherence to the accounts of Christ’s life that opponents of biblical Christianity are wrong to dismiss the accounts in Scripture as readily as they often do. Apologetic volumes like these are helpful within the church, because they can shore up existing faith. With a constant barrage of accusations and denials thrown at Christianity from the world, reading a careful, logical defense of the reliability of Scripture can be nourishing to the soul. In some cases, a book like this can be helpful for people who have not yet come to faith but are asking realistic, honest questions about the integrity of Christianity. Montgomery’s careful argumentation may be the help someone needs to come to grips with the transformative power of the gospel. One of the benefits of this book is its size. The actual argumentation of the volume is a mere 76 pages. It took me a couple of hours to read it fairly carefully. Many apologetics books, in attempting to be perfectly thorough, become weighty tomes which are unlikely to be picked up by the casual inquirer. Another strength of History, Law and Christianity is the precision with which Montgomery argues. His carefully argued points are shaped as only the lawyer can do (one of Montgomery’s earned degrees is a J.D.). The book, then, is up to the logical scrutiny of a rational skeptic. The weakness of the book is that it may be answering questions that most people aren’t asking in our day and age. This book will be a solid entry into a debate with someone with a modern epistemology, which is rigorously rational (often excessively so). It may not be as effective in convincing the post-modern skeptic, who is willing to accept truths but not Truth. As such, this is a tool that will be most effective when provided to the proper audience. All in all, this is a well written book. It has withstood the last half-century well. It is a book I am glad to have on my shelf and will gladly recommend to others.